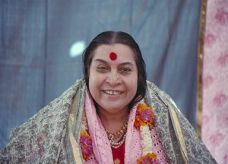 Sahaja yoga is a unique method of meditation based on an experience called Self Realization (Kundalini awakening) that can occur within each human being. Through this process an inner transformation takes place by which one becomes moral, united, integrated and balanced. One can actually feel the all pervading divine power as a cool breeze, as described in all religions and spiritual traditions of the world. This is the actualization of such transformation, which is taking place now, worldwide, and has been proved and experienced by hundreds of thousands in over 90 countries. Sahaja Yoga is entirely free of charge. Experience you Self Realization now. By the divine wish of Nepali and Indian sahajayogis Nepal Realization Tour was jointly organized from 11th November 2017 to 19th November 2017 has come to the end with a grand success by the blessings of our holy mother. In this tour more than 70000 seekers including Students, Teachers, Faculty members, Corporate officers, children, middle age and old people got their realization during this tour. The tour centered around 4 groups ie Birgunj, Lahan, Bhairahwa and Kathmandu. The area covered by this group was Birgunu: (Birgunj, Kalaiya, Rautahat, Sarlahi, Hetauda, Chitwan), Bhairahwa: (Lumbini, Bhairahwa, Tistung, and Palung), Lahan: (Lahan, Janakpur, Dharan, Biratnagar and Jhapa), Kathmandu: (Kathmandu Valley). During this tour the most targeted area were Schools, Colleges, Corporate houses, Religious places, parks, Villages, and Tourist Places. Around 110 sahajayogi/yoginis from india including yuvashakti and adult shakti and more than 500 sahajayogi/yoginis from nepal including yuvashakti and adult shakti, Sahayogis and Yoginis from France, China, Malaysia and Bhutan volunteered this program and enlightened thousands of pure souls. On the final day we had a grand musical concert, cultural program and sharing of love among us. According to the organizers "it is just the beginning but not the end"